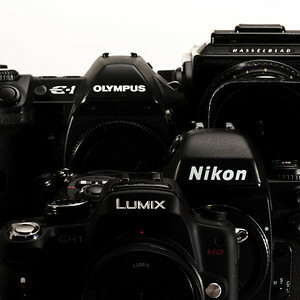 The Long Version: Bill Beebe has been kind enough to let me post a few articles about buying cameras on his own site. Part One is about buying that first "serious" camera, while Part Two – really, part one-and-a-half – looks at building it into a system. The final instalment, which is possibly my favourite, is what I go through when I'm tempted to buy something new. I'm not famous for my impulse control, but I think it works out okay.